I discuss the current state of monitoring, measuring, and analyzing supply chain sustainability, as well as progress advancing more sustainable practices by corporations and consumers. 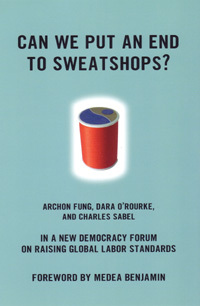 Book proposing a strategy for ending sweatshops, co-authored with Archon Fung and Chuck Sabel. 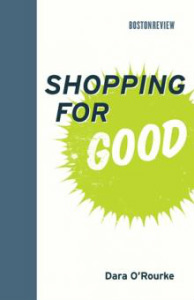 An article by me and eight responses on the promise and challenges of promoting more ethical consumption was recently published as a book by MIT Press. Check it out here. WINNER of the 2005 Outstanding Book Award from the Environment and Technology Section of the American Sociological Association. Outsourcing Regulation: Non-Governmental Systems of Labor Standards and Monitoring. Community Environmental Policing: Assessing New Strategies of Public Participation in Environmental Regulation. Just Oil? The Distribution of Environmental and Social Impacts of Oil Production and Consumption.